At this time next year, Wayne County will have a new Executive-elect. But what about Bob Ficano, you might ask? If he wins, he'll hardly be new. This is true. Ficano is, theoretically, up for re-election next November. But his candidacy appears to be dead in the water. Ficano can't raise money, number one. He hasn't been able to for quite some time. The foibles of his character and his political machine have caught up to him. People have been distancing themselves from Ficano---people who matter. The old 10-foot pole thing. I would be very surprised if Ficano chooses to run in 2014. He ought to save himself the embarrassment, and the effort. Just fade away, head back to the private sector, work for a law firm and collect a $200,000 salary somewhere. It's too good for him, but there you go. I have just one question today for all the packagers of our food stuffs. A very simple question. Why is the expiration date a secret? I used to have a college roommate---who, if he read this, will know who he is---who was deathly afraid of consuming food or drink that was even one day past its expiration date. If that package of Rice-a-Roni had a date of June 17, 1984, and if it was June 18, 1984, my roommate wouldn't eat it. Period. Loaves of bread that had days of the week on their twist ties, rather than actual dates, would drive him nuts. He wouldn't fall for the smell test. Even if that gallon of milk smelled perfectly fine, but it was one day past the expiration, it would get tossed down the drain. "They put those dates for a reason," he would tell me. "Don't they?" Anyhow, back to my original question. I am reminded of the words from time to time, spoken some 30 years ago by my father. My father was a computer programmer, starting in the early-1960s, when the computers he was working on filled entire rooms. While I was in college, taking an obligatory computer class to placate him, my dad told me something that still resonates with me today. "Someday," he said, "people will do everything on home computers. They'll even do their shopping from home," my father told me, as if he was letting me in on a secret. Damned if the old man wasn't right. But I wonder if even he could have imagined just how right he would turn out to be. 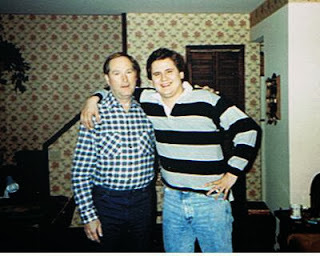 My father passed away in 1996, just before the Internet really took off. Ironically, this great computer soothsayer never owned a PC of his own. He did, however, buy me a Commodore 64 in 1985. Bob Denver is still dead. 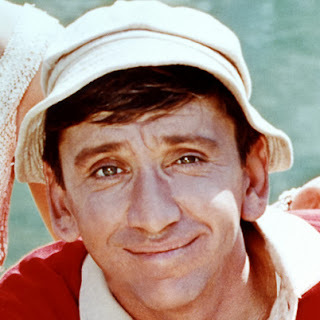 The other day on Facebook, I came across a link "announcing" the death of Denver, who most famously played Gilligan on TV's "Gilligan's Island." I'm usually pretty up on who's alive and who's dead, celebrity-wise, but in this instance I dropped the ball. So I shared the link. The story, which appeared to sprout from "The Today Show" web site, announced Denver's age at death as being 70. That should have been my first red flag. A quick calculation told me that Denver must have been born in 1943, or in December of 1942, for him to have died at age 70. After I shared the link, a Facebook friend commented that he was surprised Denver was that young. "Yeah, me too," I commented back. "That meant he was in his early-20s when 'Gilligan's Island' first started on the air."